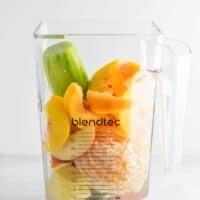 Smoothies are hands down one of the easiest ways to get a well rounded breakfast. Anytime I am running low on time or just not in the mood to cook breakfast, a smoothie is my go to. 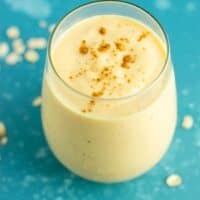 Today I’m rounding up 10 breakfast smoothie recipes that are perfect for those busy mornings. If you’re on a health kick this January, you are not alonge! 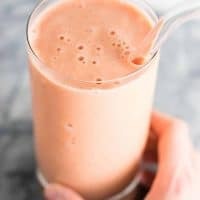 I try to make a smoothie at least 3 or more times a week, as my two year old loves them! I can pack so much nutritious goodness into a smoothie and he just loves drinking it through his own straw. These recipes are just the beginning of all the ones that you could create. 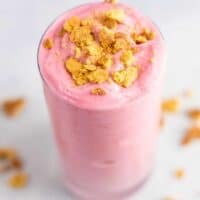 I love how versatile smoothies are, and once you figure out what flavors taste best together, the possibilities are endless! 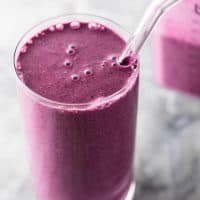 If you have ever tried a smoothie at home and it turned out bland, or worse, didn’t taste good, give one of these recipes a try! I have definitely made some less than tasty smoothies in my time, but I’m so glad I kept trying before swearing them off. These 10 recipes are all tried and tested by me, and so delicious that I actually crave them! 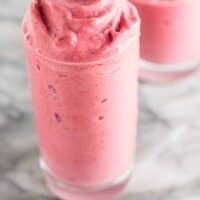 I would never turn down a homemade smoothie, even for dessert! Click on any link to take you to the recipe! This ginger peach detox smoothie is packed full of good for you ingredients! 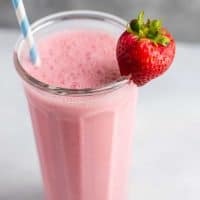 Healthy and fresh strawberry smoothie recipe. Perfect way to use up those fresh strawberries! 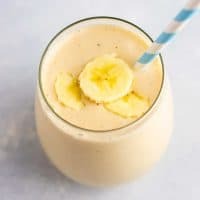 I love this smoothie so much! I have been drinking it daily for a month or so. I make it just as you have in the recipe, but use wild frozen blueberries instead of mixed berries. 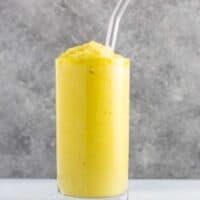 For an extra special zing I add the zest of one orange and it is AMAZING! Thank you! 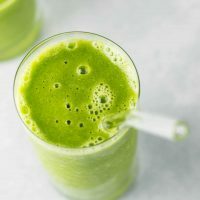 Healthy smoothies but look and sound so decadent! Great list! Love this smoothie recipe. Looks yummy also perfect for the breakfast. I want it in my everyday breakfast. Thanks for the sharing this..